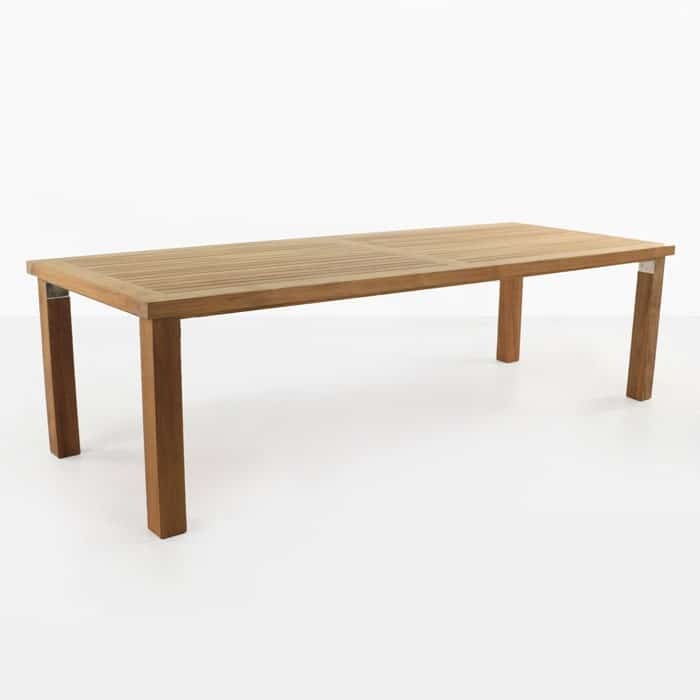 Mix the strong and earthy look of the a-grade teak Long Island dining table with the elegant Morgan dining chairs for a very inviting and sophisticated outdoor dining set. 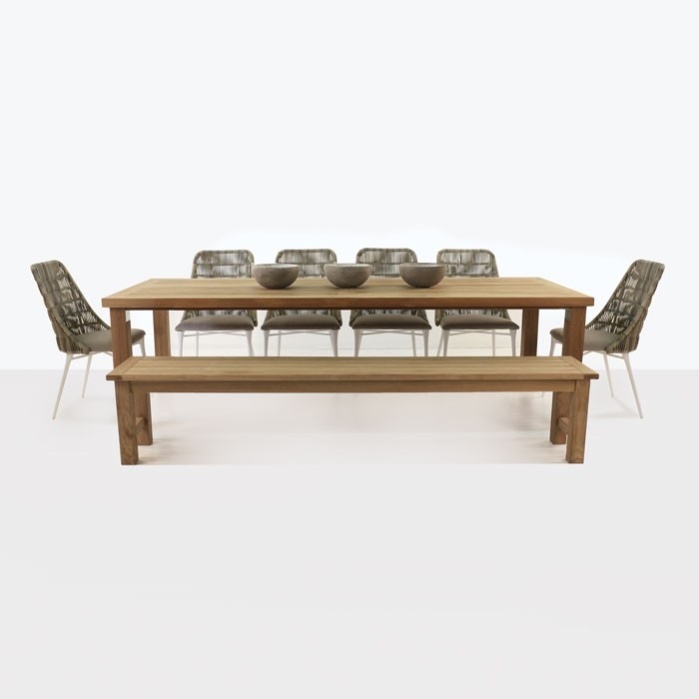 The warm hue of the a-grade teak and the soft grey stonewash color of the chairs complement each other beautifully and will work in almost any outdoor setting whether modern or more traditional. At Teak Warehouse, we love pairing dining tables and dining chairs that are made of different materials. 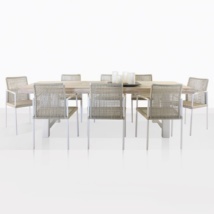 The Long Island outdoor dining table is made with a-grade teak and the more delicate Morgan dining chairs are made with outdoor wicker, power-coated aluminum frames and Sunbrella seat cushions. 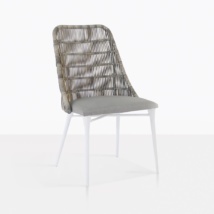 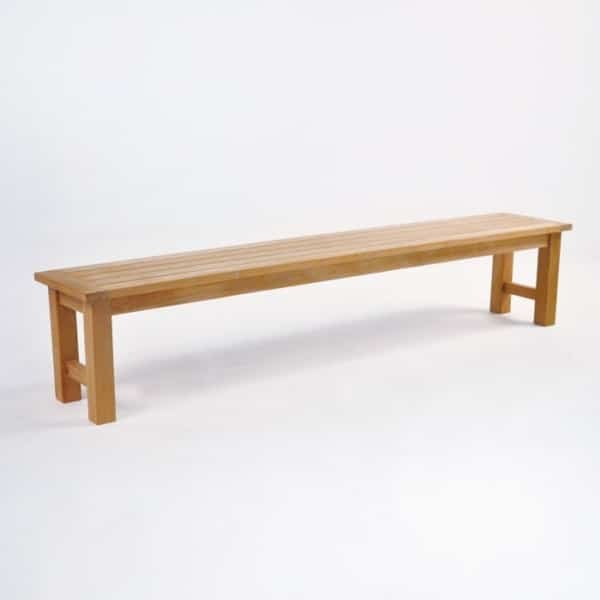 These materials are all designed and well suited for outdoor use. 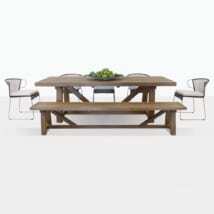 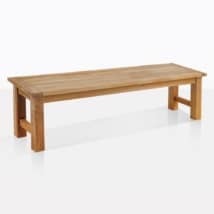 Shown is the 102″ table and 90″ bench. 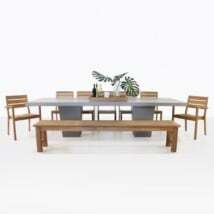 Choose this set, or create your own with any chair or table combination. 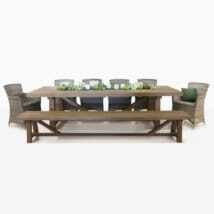 We are open 7 days a week and look forward to helping you create the exact outdoor dining set of your dreams.